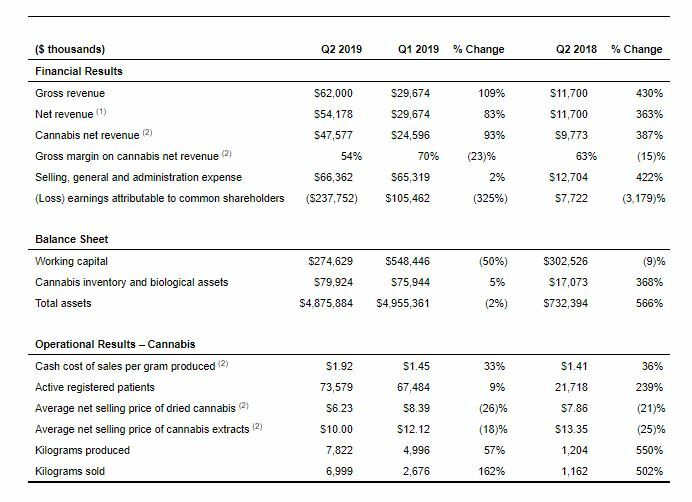 EDMONTON, Feb. 11, 2019 /PRNewswire/ – Aurora Cannabis Inc. (the “Company” or “Aurora”) (NYSE: ACB) (TSX: ACB) (Frankfurt: 21P; WKN: A1C4WM), announced today its financial and operational results for the second quarter ended December 31st, 2018. ¹Net revenue represents our total gross revenue exclusive of excise taxes levied by the Canada Revenue Agency (“CRA”) on the sale of medical and recreational cannabis products effective October 17, 2018. ²These terms and non-GAAP measures are defined or reconciled in Aurora’s Q2 2019 MD&A. Aurora continues to execute strongly across all of its market segments, as demonstrated by the 83% revenue growth over last quarter and the significant increase in confirmed production results. Our brands continue to resonate extremely well in the consumer market, our patient numbers continue to increase steadily, and we have maintained our market leadership in Germany and other key international markets. We are experiencing exceptional demand for our Canadian medical and consumer products, as well as sustained strong demand internationally. With our Aurora Sky and MedReleaf Bradford facilities ramping up production as anticipated and our other licensed facilities operating at full capacity, we are reiterating our earlier guidance of achieving sustained EBITDA positive results from the second calendar quarter of this year (our fiscal Q4). Exports to Czech Republic During Q2, the Company secured export permits and completed its first shipment of medical cannabis to Czech Medical Herbs s.r.o. (“CMH”), a Czech pharmaceutical wholesaler. Exports to United Kingdom On February 11, 2019, the Company announced that it had completed its first commercial export of cannabis oil to the United Kingdom (the “UK”), which was subsequently dispensed from a pharmacy. UK authorities have recently granted Aurora approval for its first shipment under the new legal framework that came into effect November 1, 2018 and the Company is enhancing its UK operations to ensure patient access to a range of cannabis-based medicines. Acquisition of ICC Labs (“ICC”) On November 22, 2018, Aurora acquired ICC Labs Inc., a leading producer and distributor of CBD and cannabinoid products in South America, a continent with over 420 million people. With over 70% market share in Uruguay and licenses to produce medical cannabis in Colombia, the acquisition of ICC Labs has established Aurora as the industry leader in South America. Acquisition of Whistler Medical Marijuana Corporation (“Whistler”) On January 31, 2019, the Company entered into a definitive agreement to acquire Whistler. Based in Whistler, British Columbia, Whistler is one of Canada’s most iconic cannabis brands, providing Aurora with a premium-priced and differentiated organic certified product suite to expand its medical and consumer offerings in Canada and internationally. 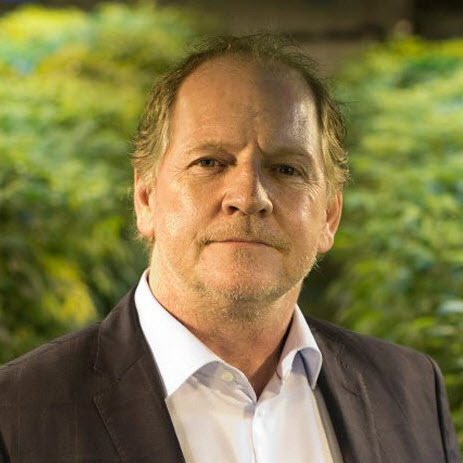 Acquisition of Farmacias Magistrales S.A. (“Farmacias) On December 10th, 2018, the Company entered into a Letter of Intent to acquire Farmacias, Mexico’s first and only federally licensed importer of raw materials containing THC, with all necessary licenses, facilities, and permissions to import raw THC material, and manufacture, store, and distribute medical cannabis products containing over 1% THC. The acquisition firmly establishes Aurora’s first-mover advantage in Mexico, where more than 130 million people will have legal access to a range of Aurora’s THC containing medical cannabis products. New York Stock Exchange (“NYSE”) Listing On October 23, 2018, the Company commenced trading on the NYSE under the ticker symbol ACB, exposing the company to a broader institutional investor base and larger liquidity pool. Private Offering of Convertible Senior Notes On January 24, 2019, the Company issued US$345 million in aggregate principal amount of convertible senior notes. The net proceeds will be used to support Canadian and international expansion initiatives. The notes bear cash interest semi-annually at a fixed rate of 5.5% per annum, and will be convertible by holders into Aurora common shares at a conversion price of US$7.23. Upon conversion, the notes will be settled in cash, Aurora common shares or a combination of both, at Aurora’s election. The notes are unsecured and will mature by February 28, 2024. 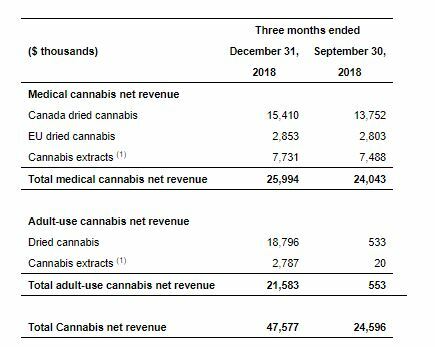 ¹For the three months ended December 31, 2018, cannabis extracts revenue includes cannabis oils, capsules, softgels and topical revenue. For the three months ended September 30, 2018, cannabis extracts revenue included cannabis oil and capsules. Before this cannabis stock news is here, it’s published to subscribers on 420 Investor.